The Society has a committee of 8 – 10 members who meet monthly. The Society is a member of Heritage Western Cape which is a provincial heritage resources authority. The main revenue source for the society is income from the GREYTON SATURDAY MORNING MARKET. This popular market is held from 10:00am until 12 noon every Saturday and focuses on fresh and preserved produce from the area as well as arts and crafts from locals and neighbouring Overberg residents. The Society also relies on membership fees and donations to fulfill its obligations. The Society was formed in 1979 and currently has 120+ paid up members. Membership fees are R20 per year. 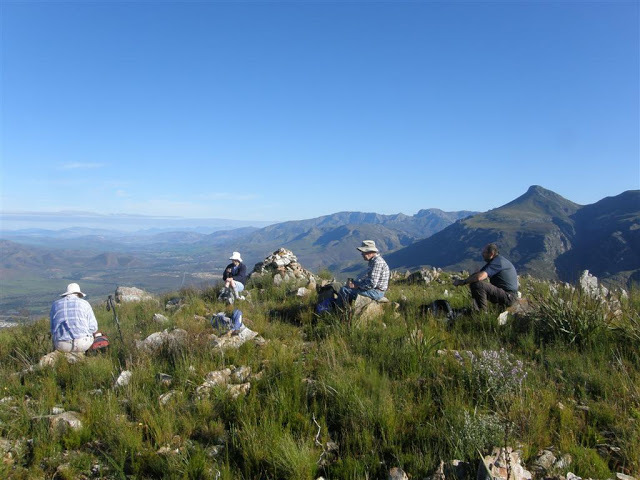 To actively engage in the conservation, rehabilitation and protection of the natural environment, including flora and fauna, in the Greyton Nature Reserve and Erf 595, the Greyton Commonage, including those parcels of land earmarked for future conservation purposes. This includes, but is not limited to, regular invasive alien vegetation hacking activities, and the establishment and implementation of an Alien Invasive Plant Management Plan. To actively engage in the promotion of, and education in, matters relating to environmental awareness, clean-up and greening of the local environment. This will be particularly aimed at and includes all local schools. 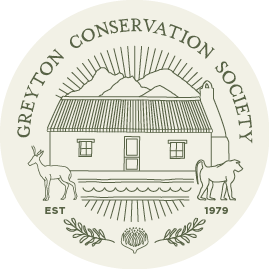 To safeguard, through conservation activities and education, the built environment including the historical origins, heritage, and architecture of Greyton and its surrounds including the lei-water irrigation system and historic streetscapes. To encourage, protect and create interest in our local crafts and cultural activities. To co-operate with local and conservation authorities on all matters within our mandate. Raising funds through memberships, running the weekly market and coffee table,selling of brochures and post cards etc and donations. Formal monthly hacks and informal ongoing hacking by members to containinvasive species and reduce fire risk in the Nature Reserve and surroundings. Funding and supervising a team of largely unskilled labourersfor path maintenance and clearing of invasive vegetation in the Nature Reserve.